A survey was undertaken during October-2016 to April -2017 at the guava bearing orchards of fruit growers in Jhalawar district of Rajasthan state with an aim to identify promising type amongst orchards of guava cv. L- 49 growing in the Jhalawar district. 70 samples at uniform maturity in December 2016 were collected from different locations of the Jhalawar district. Among treatment Dag, Gangdhar (T7) recorded maximum fruit weight (279.98g) and pulp weight (272.67g), and treatment Gangdhar, Gangdhar (T8 ) recorded maximum fruit length (7.88 cm), fruit diameter (8.80 cm), sensory quality score (8.30), TSS content (10.80°brix), TSS : Acid ratio (38.33), reducing sugars (5.18%), non-reducing sugars (4.81%) and total sugars content (10.25 %). The treatment Narayan Khera, Pachpahar (T6) 6estimated minimum seed: pulp ratio (0.016), while treatment (T13) Chand Kheri, Khanpur possessed maximum length of edible portion excluding seed cavity (15.96 mm), The treatment Sareri, Manohar-Thana (T9) observed highest value of ascorbic acid (263.00mg/ 100g fruit pulp). The treatment Lhas, Aklera (T1) was found having minimum number of seeds per fruit (161) and minimum weight of seeds in fruits (3.92 g). 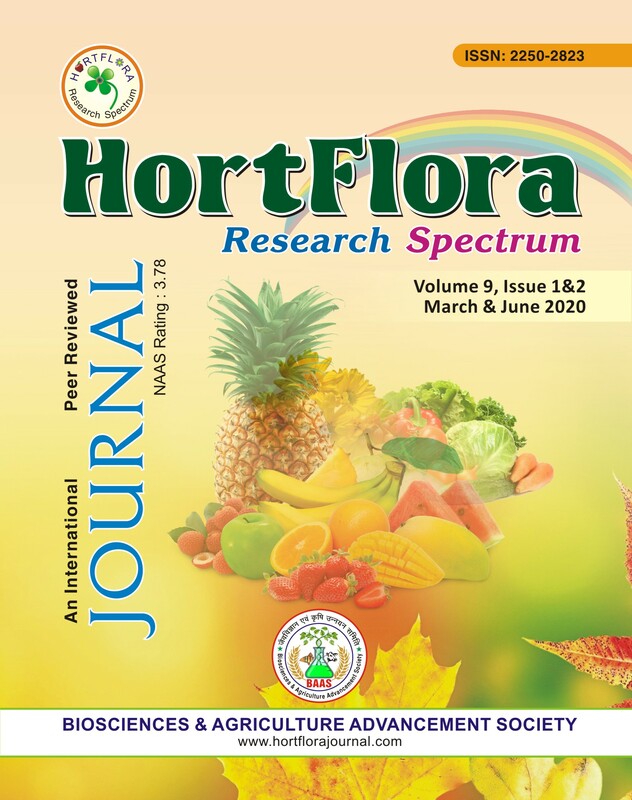 Based on these findings it can be concluded that treatment Gangdhar, Gangdhar (T8) was found superior over all other treatments with respect fruit quality parameters and can be utilized for improvement in breeding programmes. Jat K.C., Bhatnagar P. Singh J., Jain M.C., Jain S.K., Sharma M.K. and Singh B. (2017). Survey and evaluation of physico-chemical characteristics of guava (Psidium guajava L.) cv. L-49 growing in Jhalawar district. 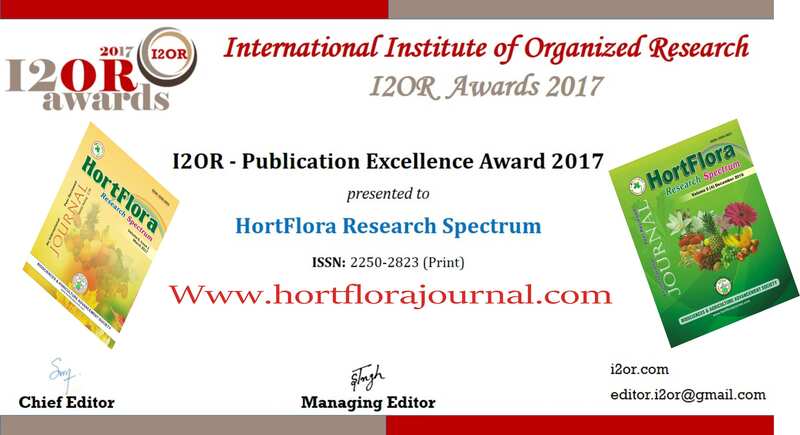 HortFlora Res. Spectrum, 6(3) : 163-167.